Welcome to the most complete Service Manuals Page in the water treatment industry! While every attempt has been made to cover all of the non franchise valves (Culligan, Kinetico, Rainsoft) systems there may be some missing. Please keep in mind that there are only a few valve manufactures in the world, but they make many different models for many different operators. If you do not find a service manual for a system that you have, please contact our office by e-mail, fax, or telephone, and we will be happy to assist you. Water softeners are manufactured under many different names and sold to many Original Equipment Manufacturer (OEM) assemblers. These OEM assemblers then put there own special covers, colors, names, etc on them. Please look at the pictures we have provided next to each set of manuals, and if yours looks close, open that manual and compare components. Chances are you will find a system that is just like yours. Whether you have hard municipal water or extremely hard well water, FinalBarrierWater® Series water softeners deliver the clear, soft water you want and need. The Iron Guard filter from Final Barrier Water is proven to effectively remove high levels of sulfur, iron, and manganese commonly found in well water. Fleck Controls was sold to Pentair. 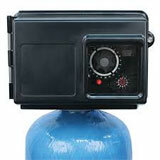 They are the largest water softener controls manufacture in the world. These valves are sold by more OEM assemblers & water treatment dealers than any other valves in the history of water treatment. These valves are manufactured with many variations for different OEM assemblers. Most of the parts are 100% the same. These units can also be converted back from a specific design for one OEM to the manufacturer’s original standard design. This valve is over 25 years old. Parts are still available, but on a limited basis. The 2510 valve is a commonly used valve due to the good performance flow rates. 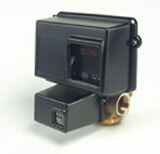 This valve is available with a time clock control, mechanical meter control, computer control with the SE control, or the new NXT microprocessor control. This valve is also used by many water treatment dealers as a filter valve. Sold by Abendroth Water under the Trademarked name of The Iron Guard Filter. The 3600 valve is also over 25 years old. Parts are still available, but on a limited basis. 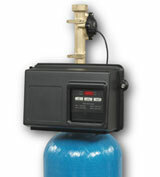 The 5600 valve is the most reliable water softener control valve ever manufactured by Pentair (Fleck) controls. This valve has been so reliable that it has become the #1 selling water softener control valve in the history of water treatment. This valve works so well that there have been no major design changes since it’s inception. Sold under the name Aqua-Soft, Watermate (WM1) Plasworld, Addie, and is availible in many do it yourself stores. This valve is also available as the 5600SE which stands for “Simplified Electronics”, or the all new SXT computer board. 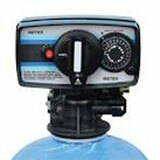 The 6700 valve is a computerized programmable (limited features) water softener. This was one of Pentairs first computerized residential water softener control valves. Sold by Abendroth Water under the name Watermate 6 (WM6). The newest water softener control valve to hit the product line for Pentair. This valve has the highest flow rates with the least amount of pressure loss of any water softener control valve manufactured today. This valve is computer controlled and fully programmable to the customers needs. This valve also delivers soft water with a very high efficiency rating. Sold by Abendroth Water under the name Spasoft. This valve is also be available with an XT microprocessor valve. These valves represent the Twin Alternating line for Pentair Water. With Twin Alternating features, the consumer gets soft water 24/7, never having to wait for the water softener to regenerate, and soft water can be used during regeneration. These systems also regenerate with soft water, giving the system a better/cleaner regeneration. Sold by Abendroth Water under the name AQS3, Watermate 3 (WM3). This is a 1″ – 1 1/2″ top-mounted valve used mostly for light commercial water treatment applications. The 2750 valve is available as a time clock control, mechanical meter control, or as a Microprocessor control with the NT or the new XT controls. This valve can be set up as a single, Twin Alternating, Tri-Plex, or Quad tank system. Sold by Abendroth Water under the names TS Series, and AB2750. This is a 2″ Commercial/Industrial water softener/filter control valve. The 2900 & 3900 series control valves are the most widely known & used commercial valves in water treatment. This valve can be designed as a single tank, twin tank, triplex, or quad tank system. The valve is available with a time clock control, mechanical meter control, NT Microprocessor control, and the new XT Microprocessor control. The Systemax 2000 has been retired from the Microprocessor product line. Sold by Abendroth Water under the names TN, and AB2900. This is the 3″ Commercial/Industrial softener/filter valve. The 2900 & 3900 series control valves are the most widely known & used commercial valves in water treatment. This valve can be designed as a single tank, twin tank, triplex, or quad tank system. The valve is available with a time clock control, mechanical meter control, NT Microprocessor control, and the new XT Microprocessor control. The Systemax 2000 has been retired from the Microprocessor product line. Sold by Abendroth Water under the names TNT, and AB3900. This is the manufacturer. These valves are sold by many Original Equipment Manufacturer (OEM) suppliers & dealers. Clack has been in the water treatment manufacturing business for over 50 years. 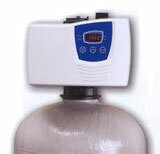 Clacks introduction into the water softener valve industry was launched around 2000-2001. This valve is also manufactured with many variations exclusively for different OEM assemblers. Many of the internal parts are all the same, the only differences are the covers & computer boards. These units can also be converted back from a specific design for one OEM to the manufacturer’s original standard design. This valve was the first valve that Clack launched into the water treatment control valve market. This valve was a 4 across button board with a black cover. The valve was then offered to an exclusive group of OEM assemblers in a proprietary version that had 3 buttons on top, and 2 buttons below. The only difference in this altered version was an exclusive computer board that allowed variable programming. The original 4 button black version also had an alternative board made for other OEM assemblers that had very selective programming styles. A few years later another computer board was made for a selective group of OEM assemblers. These vavles have been sold by Abendroth Water as WS1, Promate, Promate 1, Promate 5.0, Promate 6.0, H125, Impressions, and Evolve. These valves all use the same internal pistons,nozzles,injectors,drain line fittings, power cords etc, only the boards & covers are different. These valves can also be converted back to the manufacturers originally designed computer boards. This valve was the first 1 1/4″ valve that Clack launched into the water treatment control valve market. This valve has many of the same parts as the valves listed above, only the valve has higher flow rates over the WS1. Sold by Abendroth Water as H125, AB125,VF125. The WS1.5” control valve has been re-designed to be more user-friendly for the installer and service technician in the field. This new design still uses all of the internal parts of its predecessor, so no need for additional or different internal repair parts. The relocated drain port to the top of the control allows the use of a wide variety of flow controls to be installed with ease. The high-efficiency brine system on the back of the valve is made from engineered composite plastic, and was developed for the WS1.5” allowing it now to be used on systems up to a 30”-diameter tank with 15 cubic feet of softening resin. This new, powerful WS1.5” valve now has flows of 65 gallons per minute for service and 55 gallons per minute for backwash. Clack has also added to their line of commercial/industrial control valves. The new WS2L two-inch valve was designed for water treatment professionals and incorporates many of the features proven in their line of WS1 control valves, including their patented stack technology and state-of-the-art electronics. The WS2L features a lead-free brass body with two-inch FPT inlet and outlet connections and a 1.5″ riser pilot. The valve is also available with two-inch BSPT connections and a 50 mm riser pilot. The WS2L is capable of providing service flow rates up to 75 gpm and backwash rates up to 50 gpm.